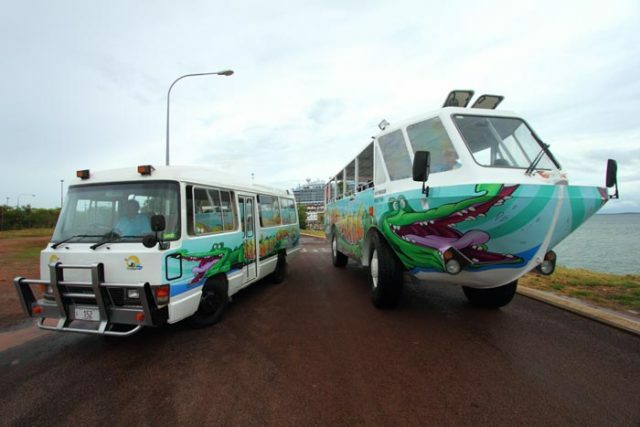 Cairns Info.com - Duck About Tours. 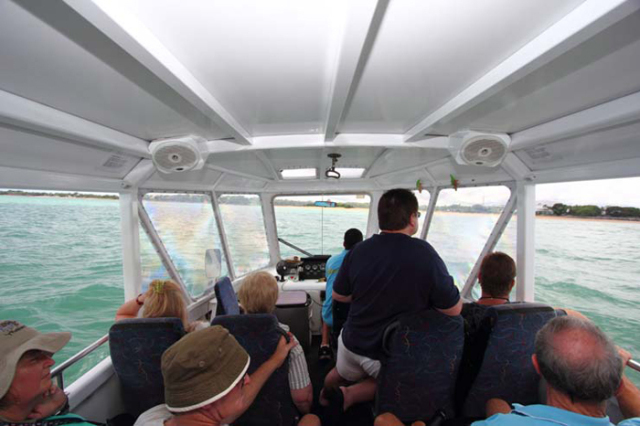 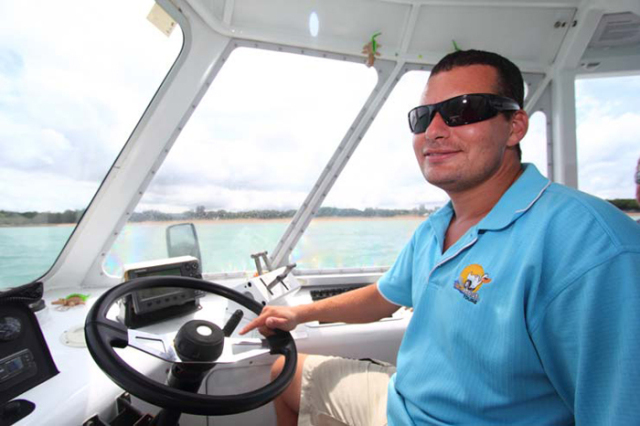 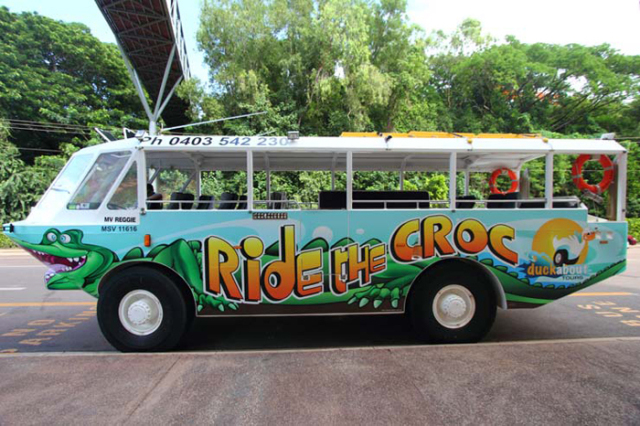 who’ll be narrating your sightseeing tour of Cairns. 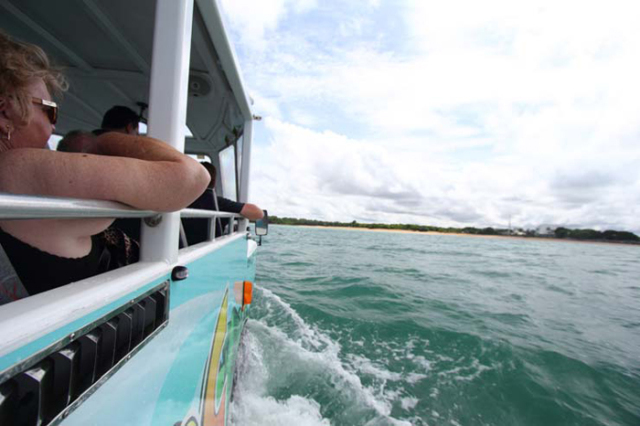 Then you’re off on a journey like you’ve never had before. 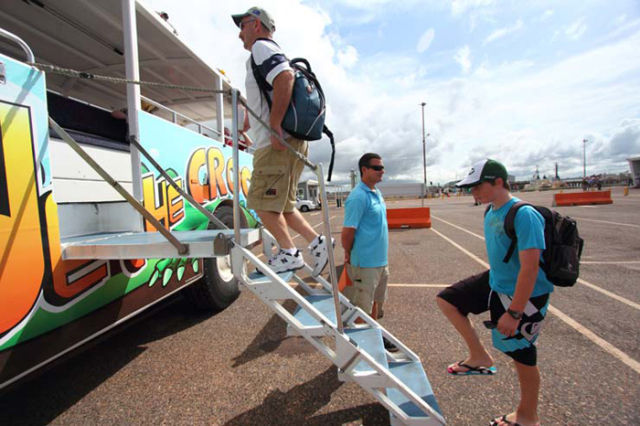 You’ll drive by all the places that make Cairns the capital of the North: and as the best of Cairns unfolds before your eyes your guide will be giving you lots of little known facts and interesting insights about our unique and wonderful city. 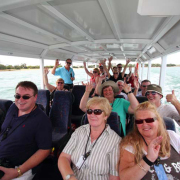 waterways while viewing the mighty mangroves, and magnificent mountains. 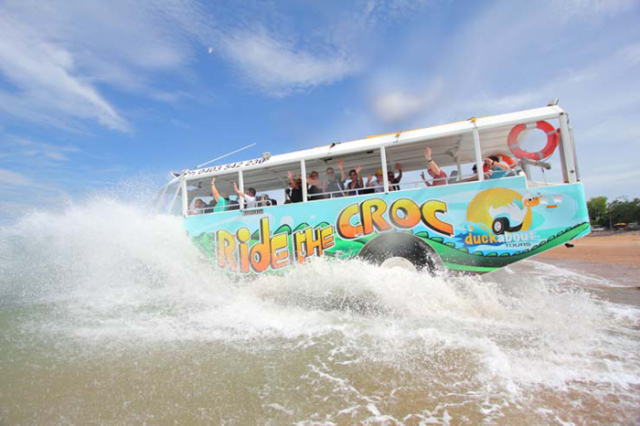 Oh, and it’s fun for all ages – 0 to 99! 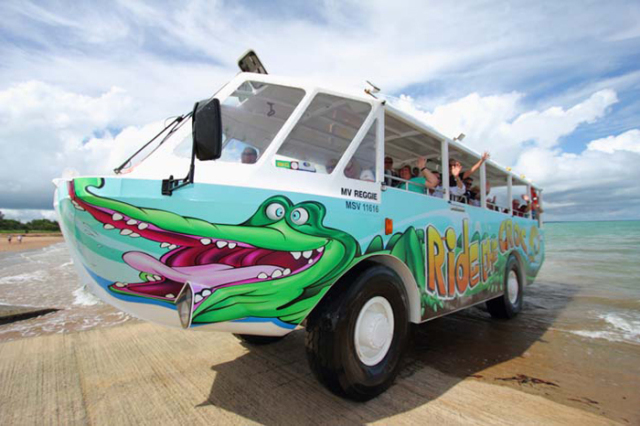 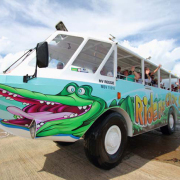 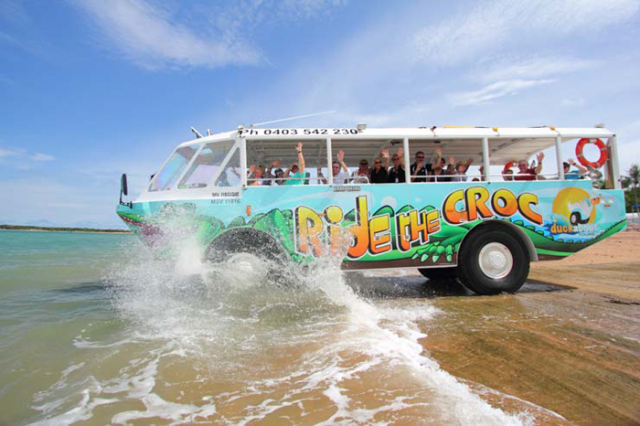 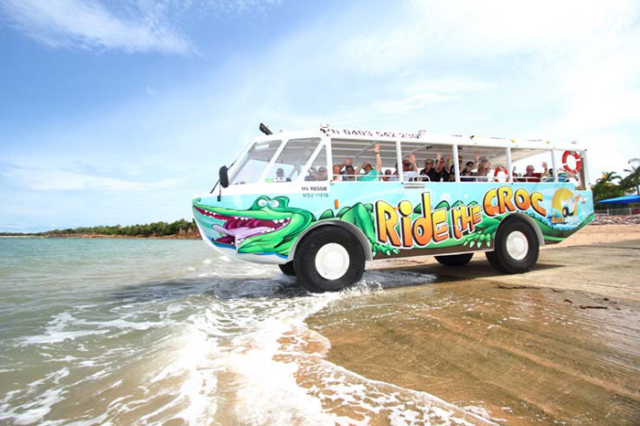 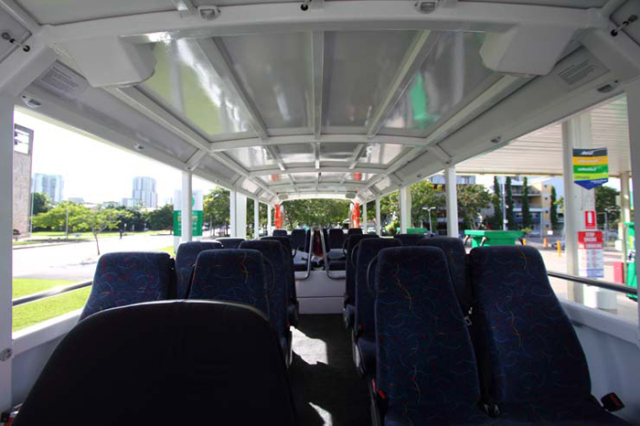 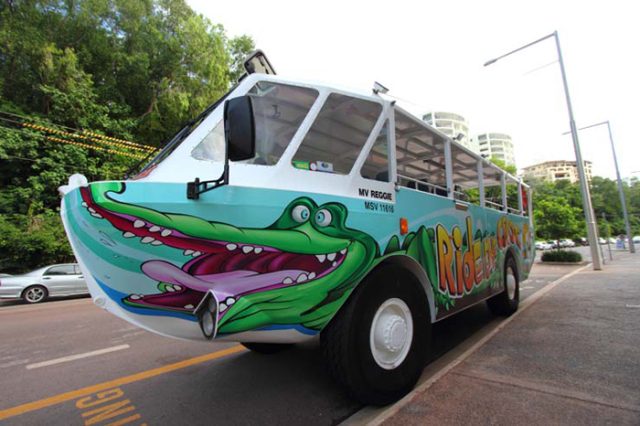 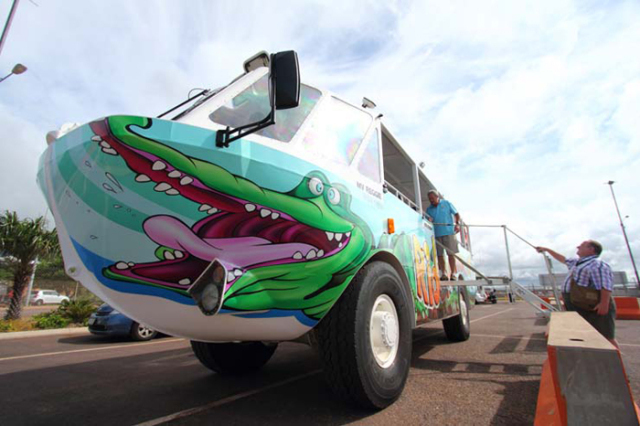 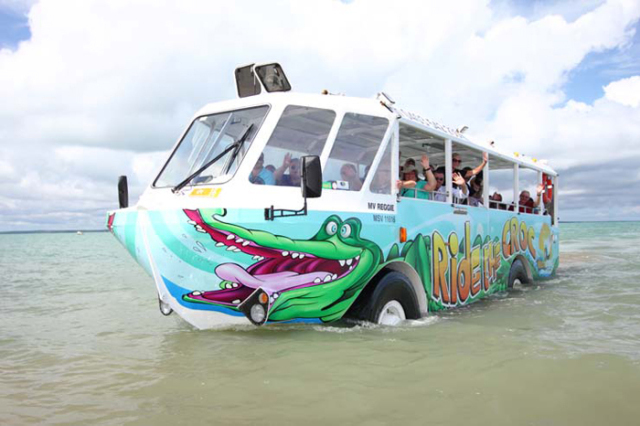 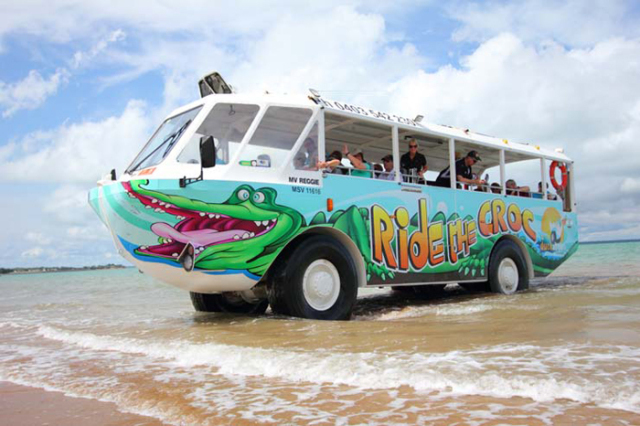 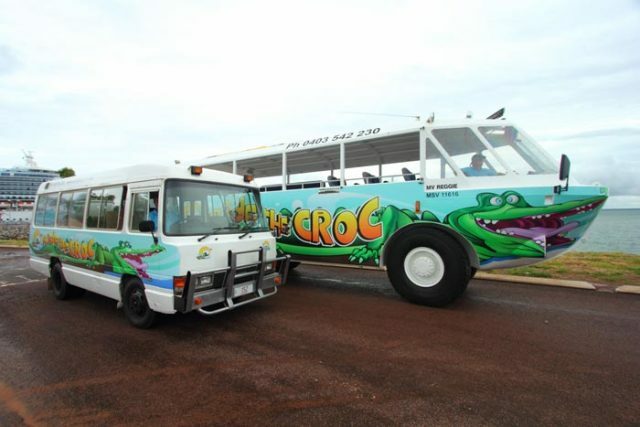 Jump on our Ride the Croc at our central pickup point – Bus Bay 21, Pier Point Road, Cairns City - next to the Lagoon Pool and Fogarty Park. 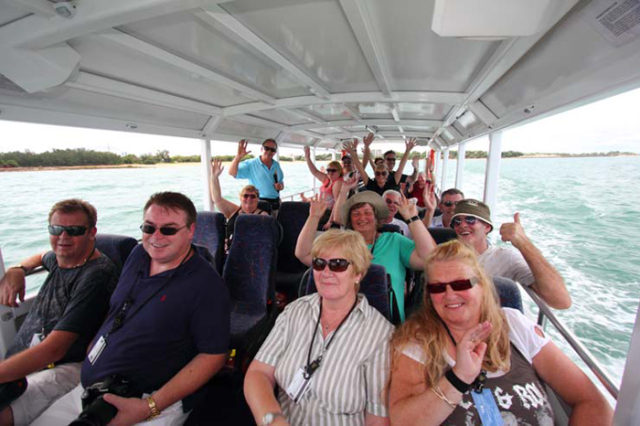 With multiple 60minute trips running throughout the day there is a tour to fit into your busy itinerary.